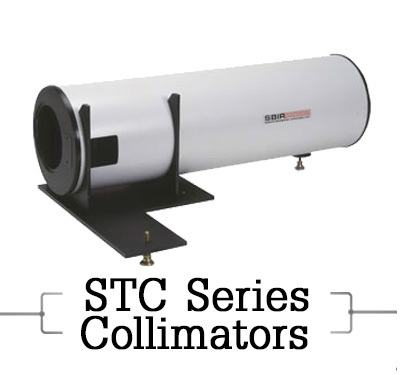 The STC Series Off-axis Newtonian Collimators from Santa Barbara Infrared provide superior performance in a compact, light weight, readily integrated package. 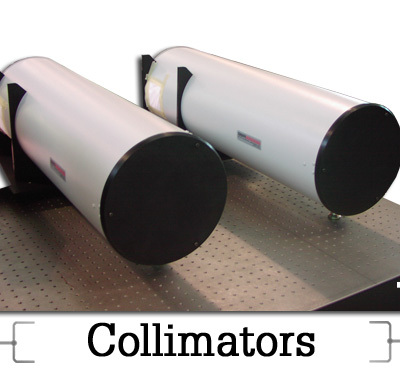 These collimators accurately project targets at infinite focus for critical visible, IR, SWIR, MWIR and LWIR system testing. The lightweight, rugged construction of these systems make them ideal for laboratory, production and depot applications. 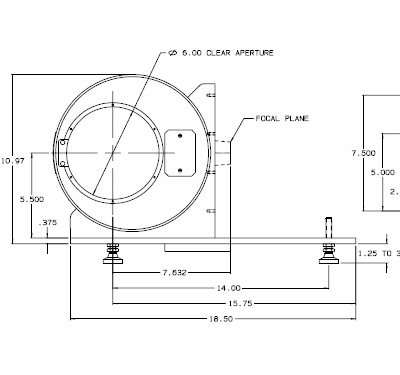 STC Series Collimators integrate with SBIR’s Infinity Blackbodies and 300 Series target wheels to create the 14000 Series Target Projectors. 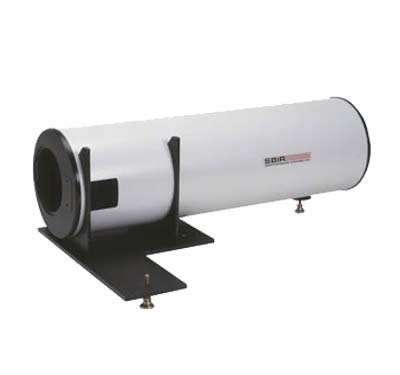 These target projectors are available in many standard sizes to satisfy the test requirements of most sensor systems. Additionally, their modular design allows for easy customization of components. 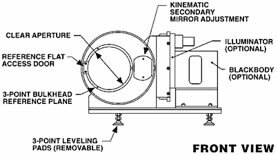 SBIR also offers custom and built to specification collimators including large aperture, long focal length optical bench configurations, refractive collimators, portable athermal field/depot configurations and wide field of view systems. 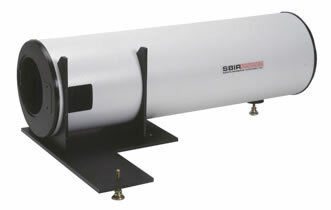 The STC Collimators use an all reflective off-axis Newtonian design which is free from obscuration. 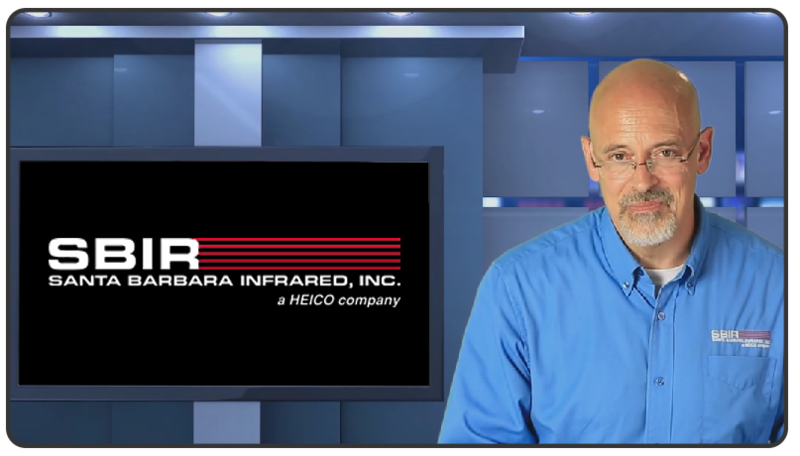 They are ideal for broad band applications from 0.4 to 14 micron bands. 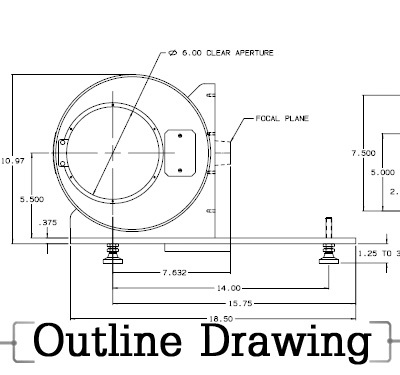 This cost-effective design delivers diffraction-limited performance on axis, making it suitable for high spatial frequency target projection. The versatile mounting platform is designed to accept a target wheel, illuminator, and differential blackbody source. 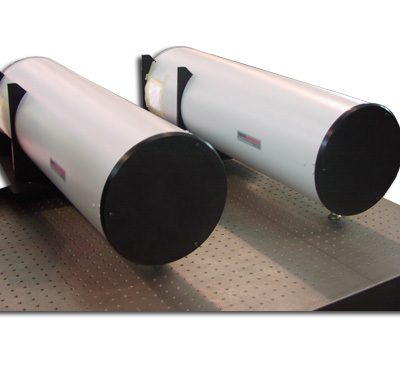 Other sources such as lasers, high temperature blackbodies, and integrating sphere sources can be easily mounted on the optical platform. Please contact the SBIR sales team at (805) 965-3669 or at sales@sbir.com for assistance in selecting standard or custom systems.